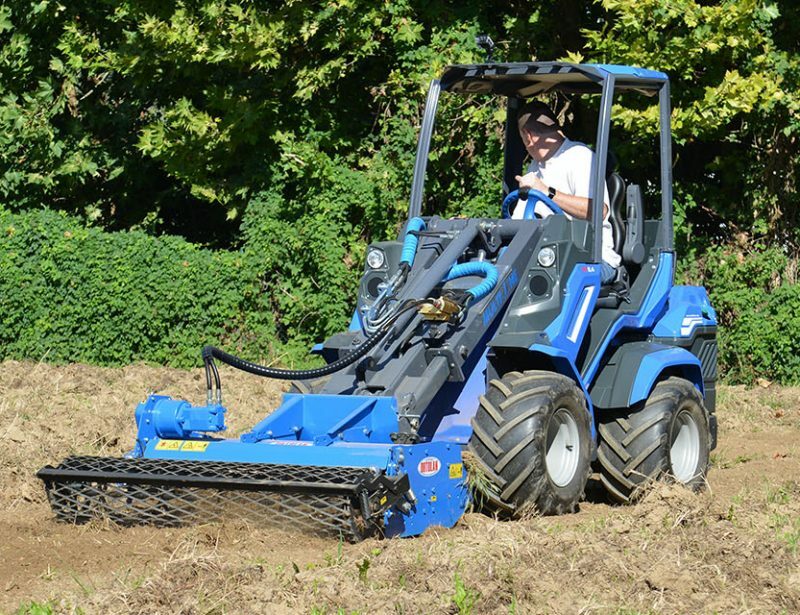 There are mowers and tractors out there that can use attachments, but nothing reaches the scope and abilities of a MultiOne mini loader. 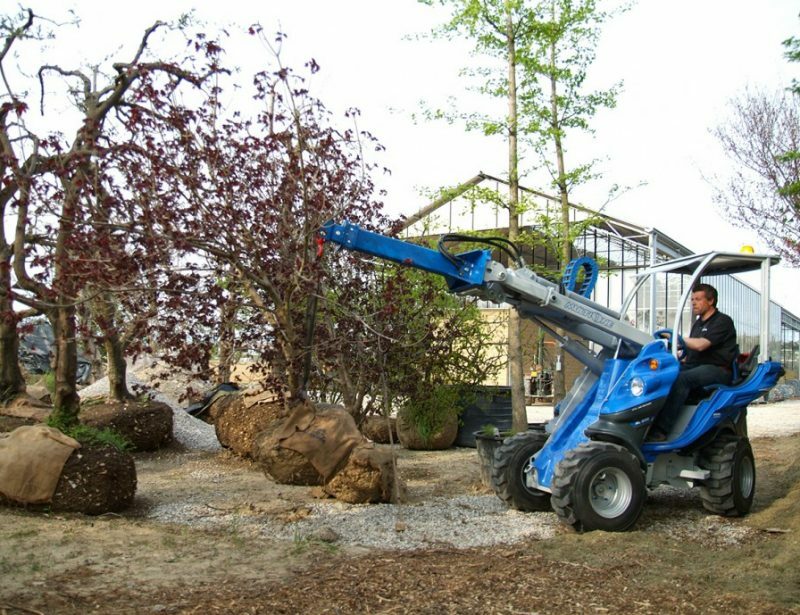 With the right equipment, these loaders can help you with each step in creating a new outdoor environment from groundbreaking to maintenance. The First Noticeable Advantage When Operating a Mini Loader is How it Treats the Turf. 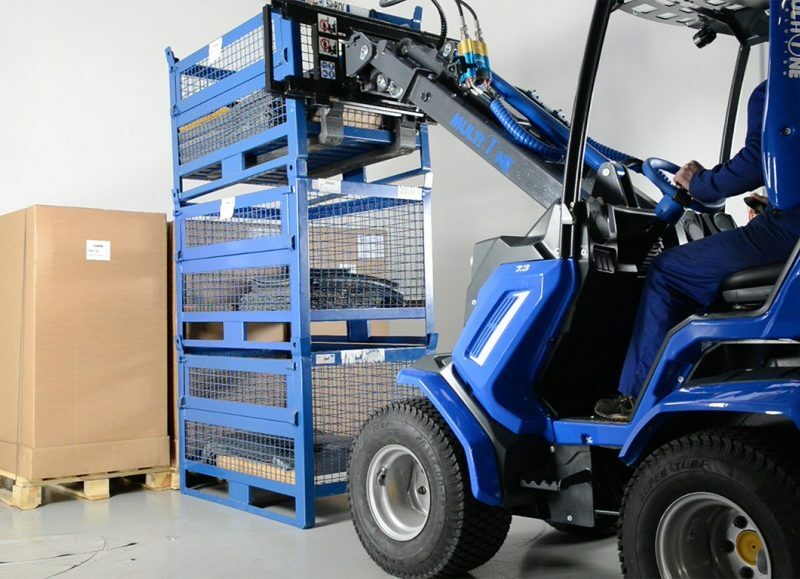 Instead of locking a wheel to make turns, it uses wheels controlled by independent hydraulic motors mounted to a hinged base, allowing the wheels to swivel around for a tight turning circle. 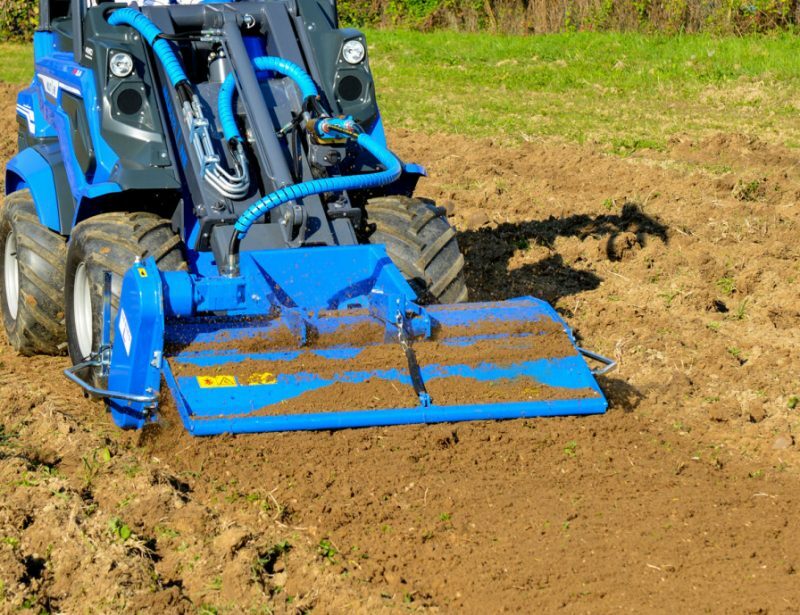 Scrubbing is kept to a minimum, protecting the grass and soil you’re working on. 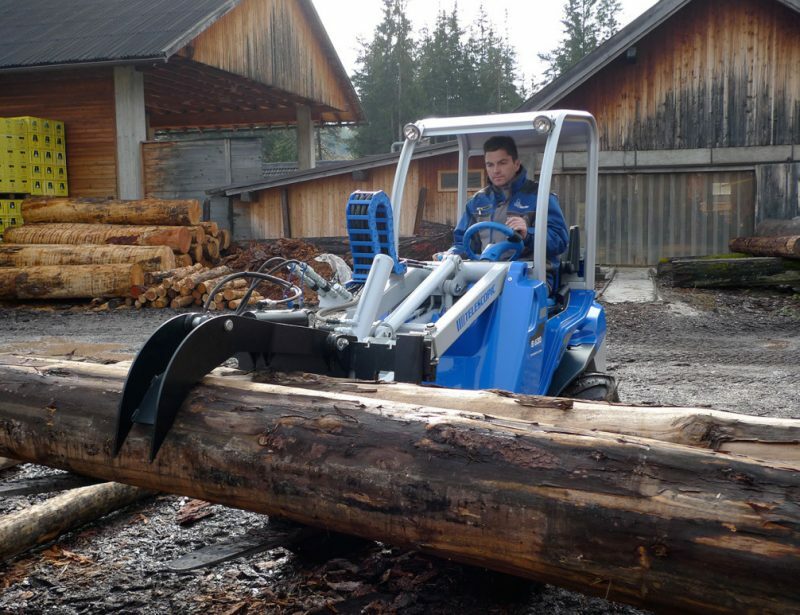 Unlike a tractor, the loader puts the operator up high and at the center of the vehicle, providing a clear view of the tool being used. The attachment is connected to a boom that can both raise and extend to reach any surface. 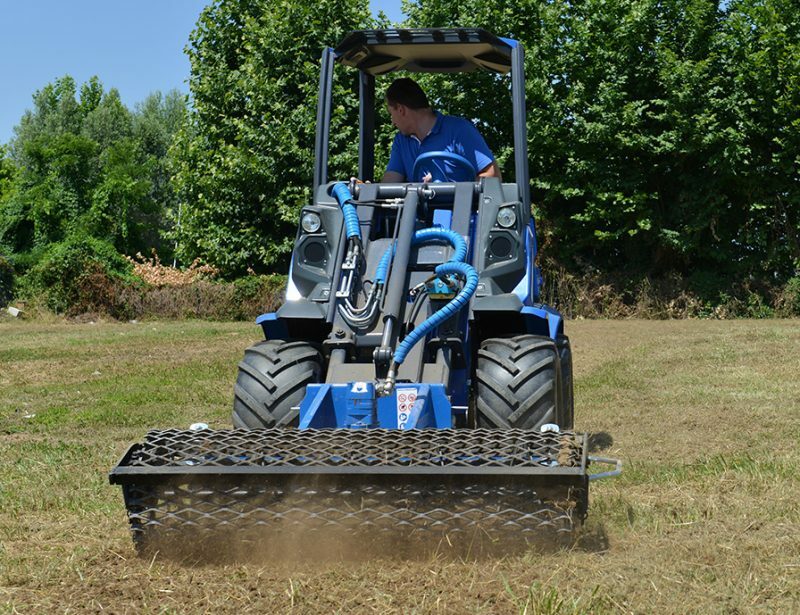 For attachments that need to be used at a specific height setting like mower and plows, a base height can be set on the attachment itself, letting you raise it for transport or to avoid obstacles, then lower it again to the exact same height for consistent performance. 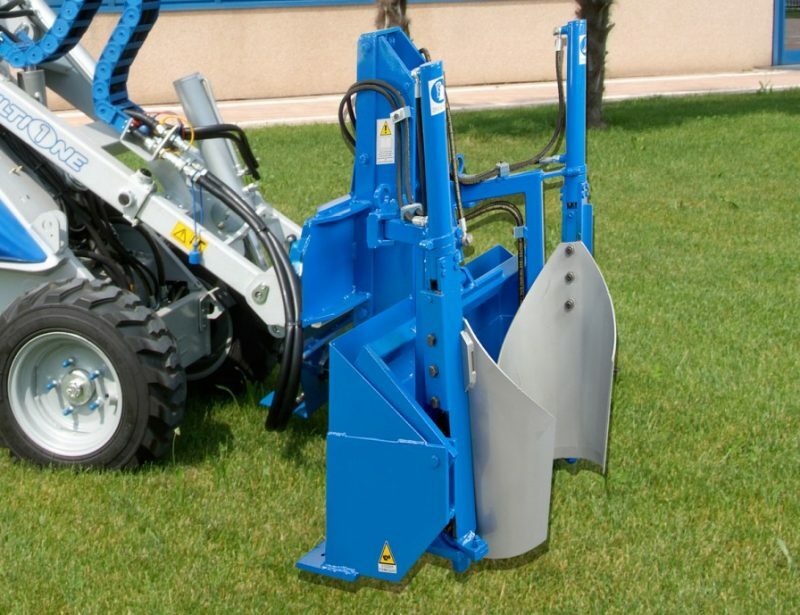 Switching attachments is easy thanks to a simple mounting plate system and centralized hydraulic line system, eliminating the Clevis pins, belts, shafts and arms found on tractor and lawn mower attachments. 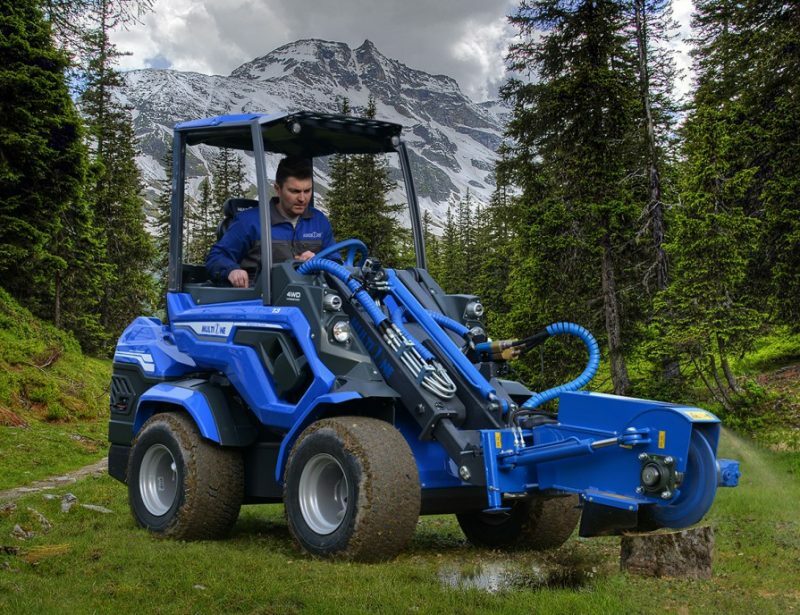 All attachments with built-in drive systems use the loader’s hydraulics for power, eliminating the need for separate engines. 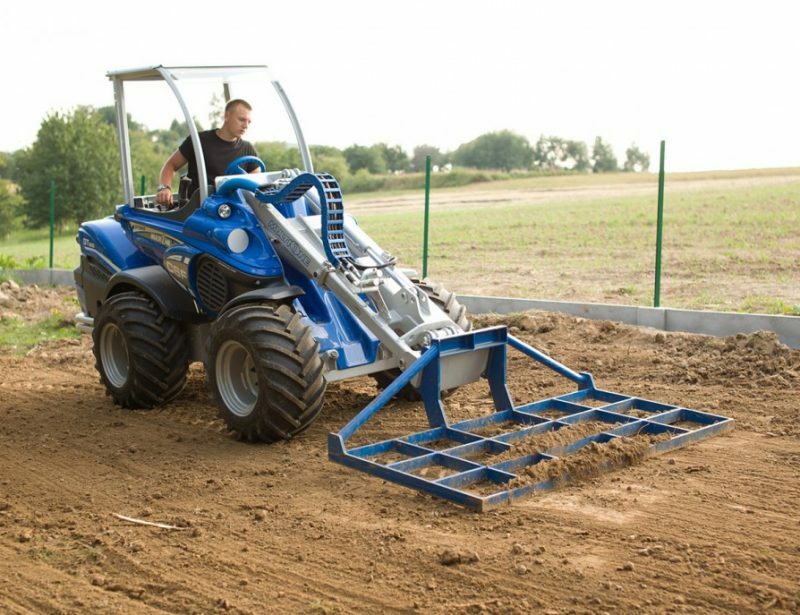 Attachments Mount Directly to the Boom or to the Rear of the Loader, Which Makes Them Easy to Maneuver. That means tools that are normally trailer mounted can be brought to work locations with ease, even if it means moving between trees and gates and over steep slopes. 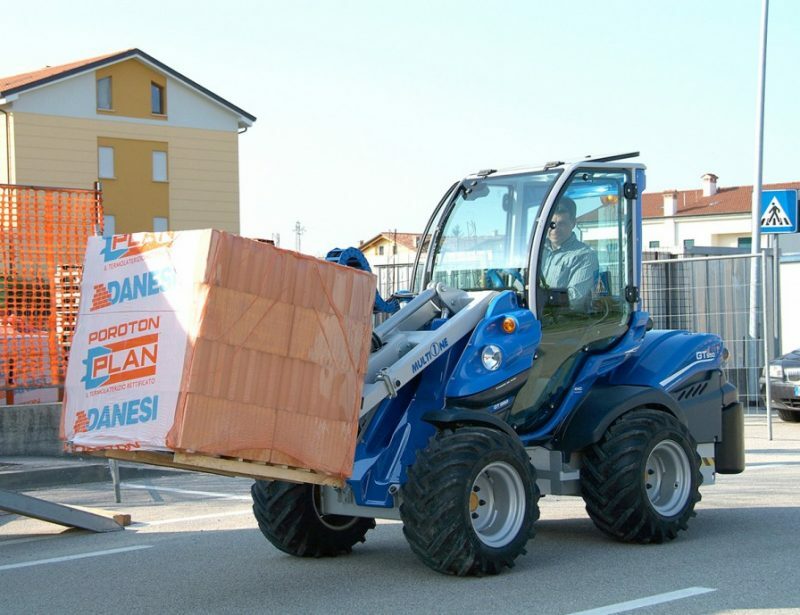 With the right attachments, a MultiOne mini loader can help you from start to finish. Landscaping projects begin by breaking down the soil and plants to begin anew. 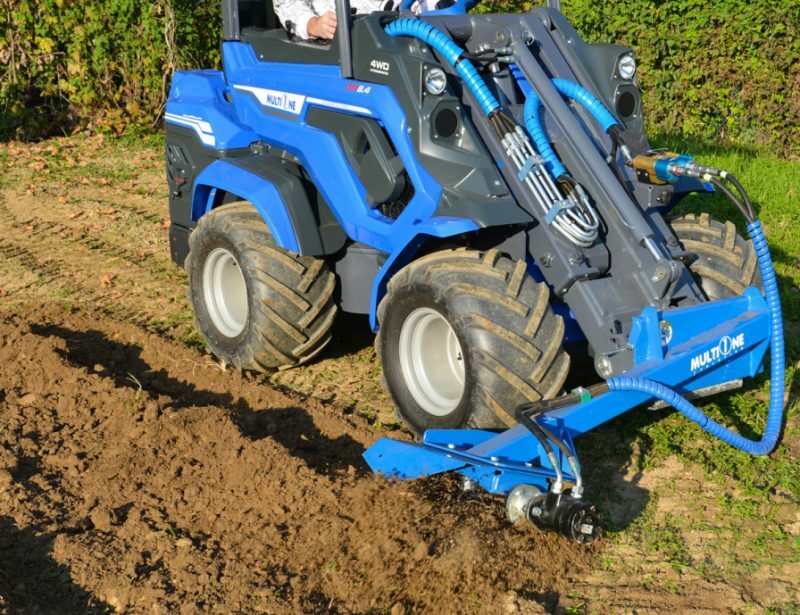 MultiOne makes plenty of construction-focused digging tools that can be put to work, as well as some landscaping-specific attachments like the power rake and harrow. These tools break up surface soil and help bury stones, giving you a soft surface to work with. 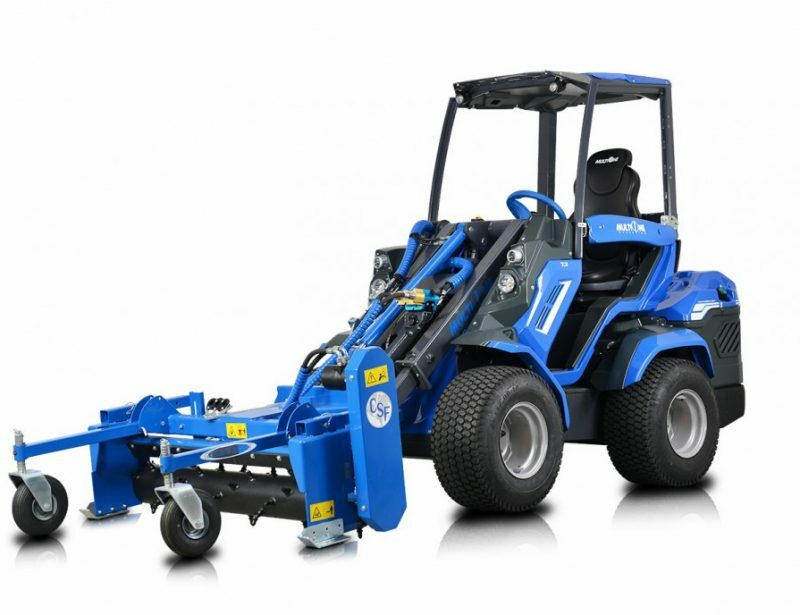 Both the tree spade and shear can remove trees and transport them for disposal. 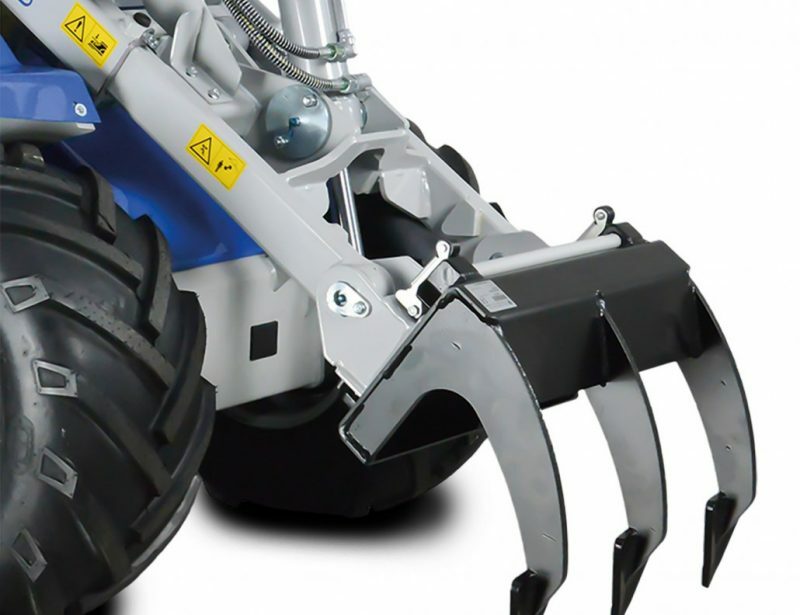 Along with a variety of pallet forks and a bag lifter for transporting materials, there’s a pot clamp designed to gently lift potted and balled plants for transplanting. 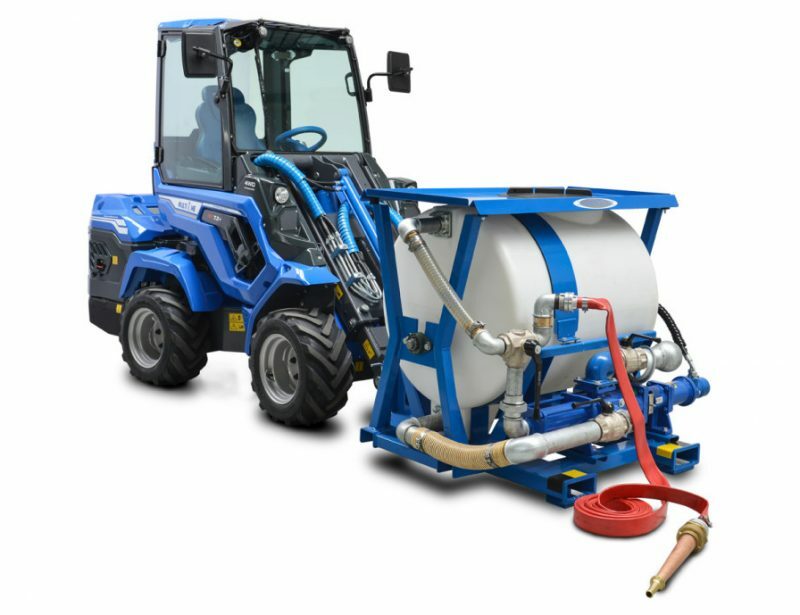 For planting grass, the salt & sand spreader can double as a broadcast seeder and fertilizer spreader, while the hydroseeder lets you spray a combination of seed and liquid fertilizers. 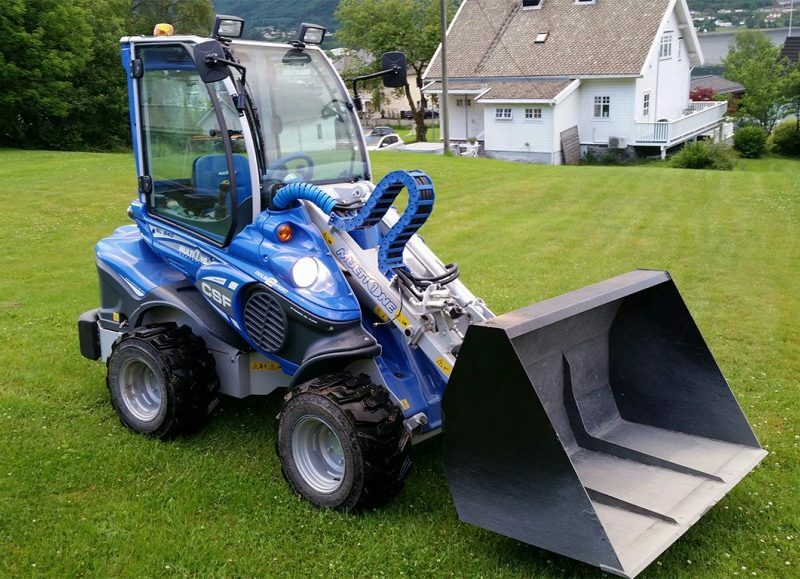 Regardless of the Model of Mini Loader you Own, you Have Access to All the Compatible Attachments..
including mowers, buckets, and other tools that you can use to supplement your landscaping equipment for finishing and maintaining your work. 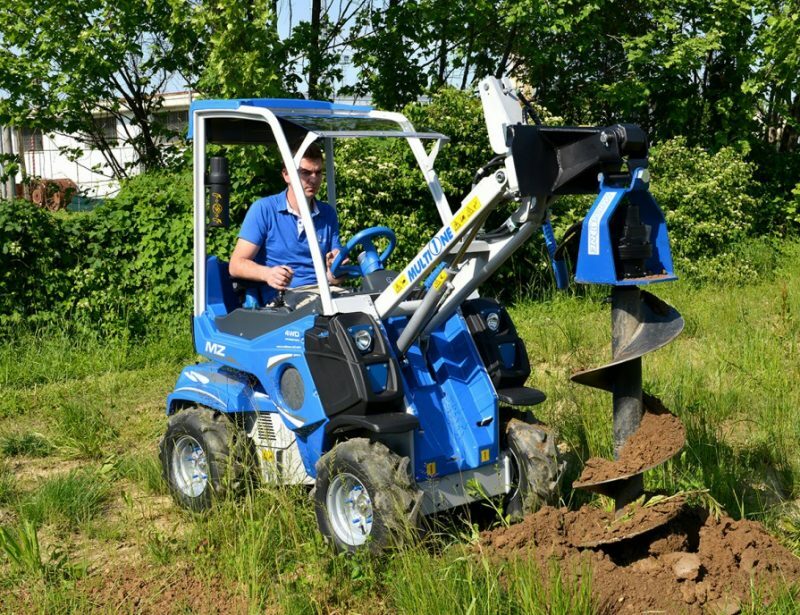 This makes a MultiOne mini loader a complete solution for your landscaping needs.